Although nowadays the TV show ‘Supernatural’ tends to be more funny than scary, if we look back we realise it had a lot of creepy and ‘hands over eyes’ moments over the years. For more than 130 episodes, the Winchesters have hunted several freaky creatures, including demons, ghosts, angry spirits and odd pagan gods, most of them based on actual folklore and legends. Since Halloween is right around the corner, this is the perfect time to take a look at the ten freakiest, scariest and most disgusting creatures that the two brave brothers faced so far. Now this was a gruesome creature! A rugaru starts out as a normal man, who by the age of 30 becomes exceedingly hungry and eats everything he can find, including, eventually, human flesh. That is when he is completely transformed into a monster, forever. Originally, a rugaru is a legendary creature in Laurentian French communities linked to European notions of the werewolf. 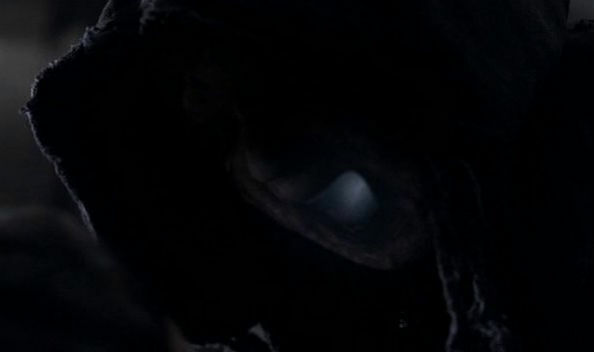 In ‘Supernatural‘, a rugaru appeared in ‘Metamorphosis’ – season 4, episode 4. A Striga is a creature who survives by sucking the life force from children – they have a stronger life force than that of an adult. This results in the children falling into a coma and never waking up. Strigas appear in human form most of the time. They live for thousands of years and can only be killed while feeding. In ‘Supernatural’, a striga appeared in ‘Something Wicked’ – season 1, episode 18. Rakshasa is a creature that sleeps on dead insects and can turn invisible and change shape. If that wasn’t enough, it also eats people. The one in Supernatural appeared as a clown at the fair who would follow children home, get the child to let them into the house and then eat the parents. Originally, rakshasas are based on Hindu mythology. 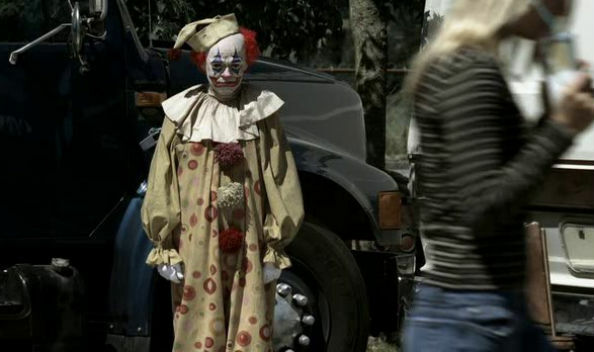 For those of you with coulrophobia, you should avoid the series’ episode named ‘Everybody Loves a Clown’ – season 2, episode 2. Personally, it scared the bejesus out of me. 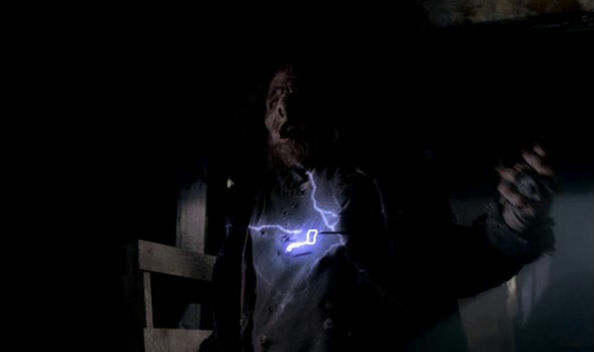 A wendigo appeared in the second episode of the show, called ‘Wendigo’, a mythical creature that can be found in the mythology of the Algonquian people. A wendigo is a man left with the dead, usually a miner or a lost traveler, who begins to eat human flesh and takes on special longevity powers, but transforms into a terrible creature that can move at the speed of light and craves human meat. They live in very secluded areas. And right when I thought the writers can’t come up with anything new and frightening! Leviathans are the first beasts created by God. They were impossible to control and very destructive, so they were locked up in Purgatory, but, unfortunately, set free at the beginning of season 7. They can take over any human body and render it invincible. Originally, a leviathan is a sea monster referred to in the Bible. In Demonology, Leviathan is one of the seven princes of Hell and its gatekeeper. 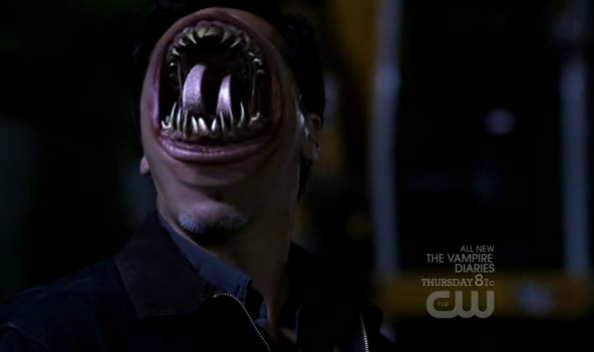 In ‘Supernatural’, leviathans appear in several episodes of the shows current season, season 7. A hellhound is a supernatural dog, found in folklore. A wide variety of ominous or hellish supernatural dogs occur in mythologies around the world, similar to the ubiquitous dragon. In ‘Supernatural’, hellhounds are vicious canines that guard the gates of Hell. They are invisible and they come to collect the souls of those who have made pacts with the devil, they growl and tear things apart. 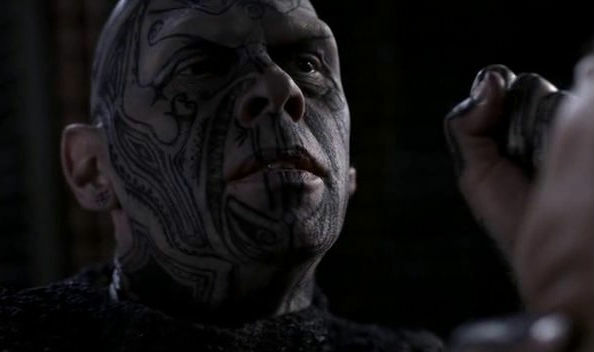 Hellhounds appear in several episodes from the show. They are the reasons why Ellen and Jo blew up. I think these are the creatures I found most disturbing while watching the series. Changelings are replacements for real children who are stolen away by fairies or other creatures and fed on. The changeling looks the same as the original child, with a minor difference: it is evil. Originally, a changeling is a creature found in Western European folklore and folk religion. In ‘Supernatural’, changelings appeared in ‘The Kids are Alright’ – season 3, episode 2. A djinn is an evil genie that feeds on people’s lifeforce while providing them with an alternate reality. They aren’t handsome at all. Jinn or genies are supernatural creatures in Arab folklore and Islamic teachings that occupy a parallel world to that of mankind. In ‘Supernatural’, they first appear in ‘What Is and What Should Never Be’ – season 2, episode 20. These creatures capture naughty children and the only way to kill them is through a very strong jolt of electricity. Appeared in ‘Faith’ – season 1, episode 12. 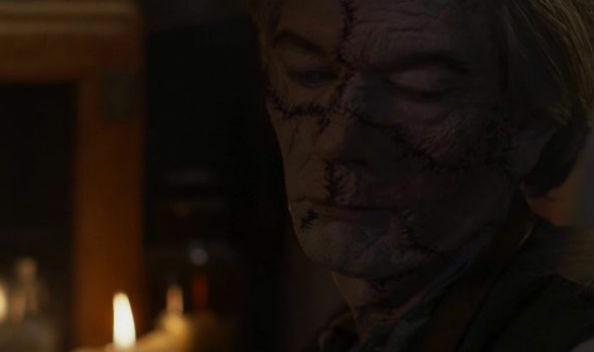 Doctor Benton is a man who had an obsession: finding the ability to become immortal. Oddly, he found out how to do that: he uses peoples living organs to create or renew parts of his body. And he doesn’t look good doing it. The Doc appeared in ‘Time is on my side’ – season 3, episode 15. Photos are print screens from the TV show.